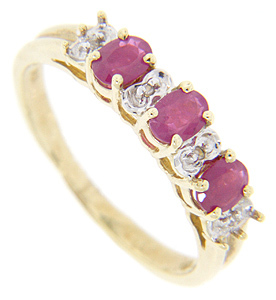 Three faceted oval rubies ornament the top of this 14K yellow gold wedding band. 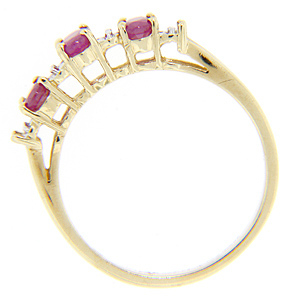 White gold patterning can be found in the spaces on either sides of each of the stones. The wedding ring measures 4.25mm in width at the top. Size: 6. We can resize.